Last year in October, WhatsApp introduced stickers which quickly became popular among masses. The much-awaited keyboard integration of Whatsapp sticker with Google Gboard will soon be available to users. To make a large variety of stickers to be available on Whatsapp, many keyboards are expected to collaborate with Whatsapp. Though GBoard is the first one to integrate. According to the reports of WABetaInfo, Whatsapp had integrated stickers for Android since December last year. But integration has not been on Gboard. As soon as Google Gboard tests it, it will allow Gboard to convert stickers into WhatsApp compatible stickers format, WebP. 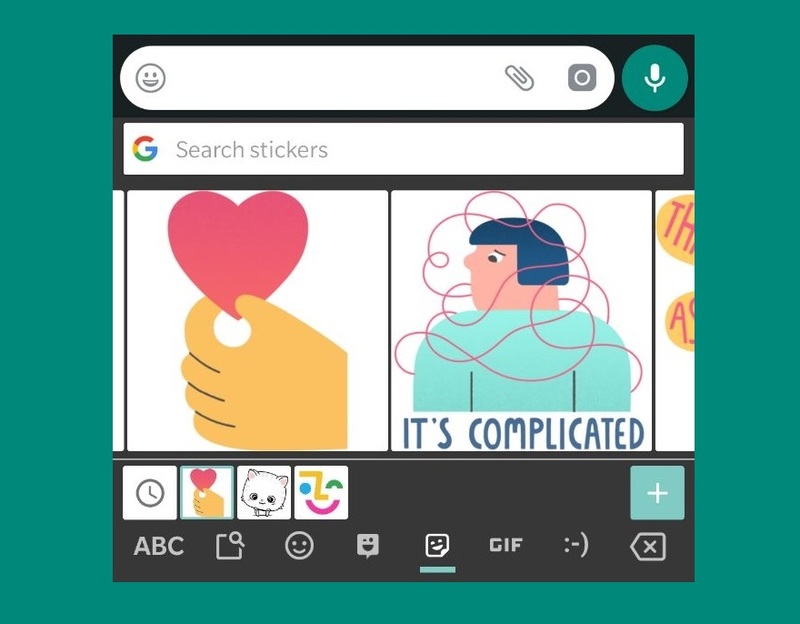 At the moment, when sticker from Gboard is shared on Whatsapp it appears as an image. After integration, sticker from Gboard will be seen as a sticker on the chat app. Whatsapp introduced stickers back in October 2018 but the choice of stickers has been very limited. Other sticker apps available on the Google Play store and App store were to be installed to use a wide range of stickers. Being able to use stickers from the keyboard directly would be a whole new experience for users. A feature to enable users to create personalized stickers is also being worked on. “Minis” and “Emojis Mini” are the sticker packs that allow stickers on Gboard. Google also has been suggesting its users through Artificial Intelligence to add new stickers to their Android devices’ Gboard since last November. Android device users have been anxiously waiting for this new Whatsapp update to be available for a new experience.